WHO: Joel and Ethan Coen wrote, directed, produced, and (under the pseudonym Roderick Jaynes) edited this. WHAT: My favorite new Coen Brothers film since No Country For Old Men at least, and perhaps going as far back as their last folk-music-centric film O Brother, Where Art Thou? And though I've seen it only once, I rank it a tentative #10 on my top 10 list of films for the year (the first time a Coen film has made my annual list since I began compiling them, I think). See below for more on that, and for a link to a full-fledged review of the film. WHERE/WHEN: Multiple showtimes daily for the foreseeable future at various Frisco Bay theatres including the Embarcadero, Kabuki & Empire in San Francisco, the Piedmont in Oakland, the California in Berkeley, the Camera 7 in Campbell, and the Sequoia in Mill Valley, among others. WHY: I picked the above screen capture (from the trailer to Inside Llewyn Davis) not only because it was one of my favorite shots in the film, but because I knew I'd be using the occasion of this post to roll out my annual year-end-lists of new movies seen in 2013. And the sentiment seems apropos for a post that feels in some ways as thought-out, ill-judged, and pregnant with indeterminate permanence as a graffiti scrawl. This post also completes my experiment of putting a post-a-day about a local Frisco Bay screening up on this blog every day in 2013- more on that endeavor in a future post, I promise, but for now I'll say that the process definitely altered my viewing patterns for the year. I found myself watching even more repertory and experimental films to the exclusion of new films than I usually have, and more commercial US fare than foreign films. I also, for the first time since 2005, didn't venture out of Frisco Bay to any film festivals this year, which I suspect has had a hand in shaping the character of this list as a whole. Finally, I made less time to rewatch favorite new films, which makes this selection feel a bit more shaped by first impressions than usual. This means the ordering of the list beyond #1 is fairly arbitrary, and that the runners-up may have some claim on some of the lower-rung slots. On the other hand, because I was filling content for my blog every day, I ended up writing at least a few words, and sometimes a few more than that, on each of these films placed on my top 10. I have linked the appropriate article, and, since these writings are basically informal musings of varying lengths, added a link to a particularly favored review by someone who has taken the time and thought to craft a serious critical piece on each in my top ten. 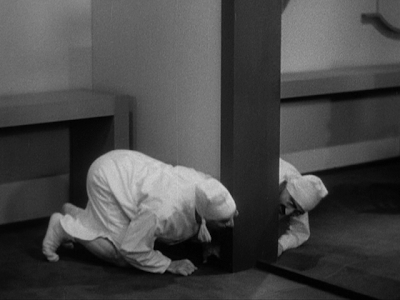 WHO: Groucho, Chico and Harpo Marx star in this, their first film without their brother Zeppo. WHAT: The Marx Brothers' The Cocoanuts and Animal Crackers were based on successful stage shows. Their next two films, Monkey Business and Horse Feathers, were not; they were created especially for the screen and had not been tested out on audiences. They were successful both critically and commercially nonetheless. Duck Soup, however, also an original-to-screen film, was a failure on both levels upon its initial release (only later did it become the Marx Brothers' biggest cult hit). So when A Night At The Opera was put into production by Irving Thalberg at MGM, the first step after the script was complete was to try something unusual: stage it on the road and hone it along the way: the tour started in April 1935 in Salt Lake City and went to Seattle, Portland and finally San Francisco (where I understand it was performed at the Orpheum) before being committed to film. The result? The three remaining Marx Brothers were back to being hit-makers, and went on to make seven more films. Of those I've seen from their post-Paramount period, this one is certainly the best. HOW: On a 35mm double-bill with Duck Soup at the Castro. On projected DVD at the SFPL event. WHO: Billy Wilder co-wrote, directed and produced this. WHAT: This comedy about an injured football player and a crooked lawyer was the first of the dozen films pairing Jack Lemmon and Walter Mathau. I have never seen it, but am intrigued by an insurance-fraud comedy made by the writer/director of what might be the greatest drama about that subject ever made: Double Indemnity. WHERE/WHEN: Today only at the Castro at 4:35 and 9:15. WHY: It's no secret that I prefer to see pretty much any film in the format for which it was intended, which means 35mm prints of any major release made before I was born (and for the most part after it as well). If I had a 35mm projector and access to prints myself, I'll admit that I might sometimes prefer to see certain films (especially English-dialogue dramas with a nonetheless high "camp factor") in private, and, as I've written before, that tuning out inappropriate audience reactions is simply part of the deal when going to see a 35mm print of, to pick another film featuring Walter Matthau, Bigger Than Life in a cinema. And it's definitely worth it when the mise-en-scène is as exquisite and as medium-specific as it is in a Nick Ray masterpiece. But that's a difficult argument to make and can perhaps boil down to personal preference. What's not hard to convince people of is the benefit to seeing great comedies on the big screen in the company of strangers. Laughter is contagious, and can even cue you to catch a joke you might have missed if watching in a solitary state. I don't know if The Fortune Cookie is a great comedy, but I'm planning to find out tonight. It's on a double-bill with another Wilder comedy, one that I haven't seen in maybe twenty years; I'm excited to check it out with a Castro crowd even though I'm sad I seemingly missed all my chances to see it on 35mm (it screens on DCP, as it will at the Pacific Film Archive in a couple months. More comedies coming to the Castro include A Night at the Opera and Duck Soup tomorrow, Singin' in the Rain on New Year's Eve and Breakfast at Tiffany's New Year's Day, and MiDNiTES FOR MANiACS pairings of Valley Girl and Raising Arizona January 3rd and Clue and another screwball comedy TBA February 21st. The San Francisco Silent Film Festival hosts five Charlie Chaplin films with live musical accompaniment January 11th, and the annual SF Sketchfest line-up includes talent-studded screenings of the In-Laws, Top Secret, and other more recent comedies as part of its comedy-on-film component in early 2014. And tucked into the theatre's January program (which will be available in print at the venue by Tuesday) is another comedy I've never seen: Mike Nichols' The Fortune starring Jack Nicholson (on a double-bill with the not-so-funny Chinatown). I don't know if there's any connection between the two films other than the shared word in their titles. HOW: The Fortune Cookie screens on 35mm, and Some Like It Hot on DCP. WHO: Edith Head designed the costumes for this film. WHAT: The last film Preston Sturges wrote and directed while at Paramount is one of my favorites. It starts in a San Francisco saloon called the Dog Watch, where a group of six busted marines just back from Guadalcanal make the acquaintance of a legacy Marine (born the day his father died at Belleau Wood) named Woodrow Lafayette Pershing Truesmith. 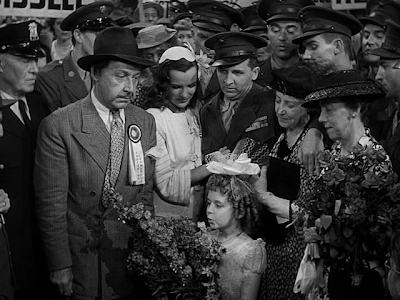 Truesmith (played by Eddie Bracken) has just spent a year pretending to be overseas after a medical discharge (hayfever) cut short his military career after just one month. Soon all seven men are heading to his hometown of Oakhurst, California, where he'll finally reunite with his mother (Georgia Caine) and former sweetheart (Ella Raines) while the other six eagerly perpetuate the fiction that he was a hero among their company- especially since it gives them an opportunity for free food and lodging during their five-day leave. Things only get more and more out of hand from there, and somehow Sturges is able to walk a tightrope between portraying portraying military men as noble and patriotism as a form of insanity. WHERE/WHEN: 3:30 and 7:30 today and tomorrow at the Stanford Theatre. WHY: Although I mention Edith Head above, this is probably not one of the top ten or twenty or fifty or maybe even one hundred films that fans of classic Hollywood would point to as one of her most significant career milestones. But Sturges stuffs his frames with huge numbers of bodies, each character and extra representing perfectly an aspect of American society, and each of them needing just the right outfit to quickly express that aspect. Bracken's own costuming (in uniform or out) is a crucial element of the plot, and the attractive dresses Head is best known for are certainly on display on the Dog Watch's tap dancer and chanteuse, and on the lovely Raines. Head's several hundred credits as costumer could make a fine introduction to Hollywood "A-pictures" from the 1930s to 1970s. The prolific Head worked in just about every genre and every studio, and with many of the classic era's top stars and directors. A complete Edith Head retrospective sounds like the punchline to a film programming in-joke, but it really would be a thing to behold, even if it took a year or more to unfold. Since it'd never happen, I'll just point out the films with her credit that are screening in the coming weeks. After Hail the Conquering Hero, the next film bearing her imprint to screen locally will be Breakfast At Tiffany's starring Audrey Hepburn, at the Castro on New Year's Day. The following week on January 9th the New Parkway screens King Creole to celebrate its star Elvis Presley's birthday the day before. And just last night the Paramount Theatre in Oakland announced its next three 35mm classic film screenings, and two out of three of them are among Head's most famous among her thrity-five Academy Award-nominated films. January 17 the venue will show To Catch A Thief with Grace Kelly and Cary Grant, and February 28 it will screen Roman Holiday, another film starring Hepburn, that won Head her fifth of eight Oscars. The odd film out on the Paramount schedule is Dirty Harry which screens January 31st; its costumes were picked out by Clint Eastwood's regular wardrobe man until 1992, Glenn Wright. HOW: Hail the Conquering Hero screens on a 35mm double-bill with the Marx Brothers in A Day at the Races. WHO: Mel Stuart directed this. WHAT: I must have been a sensitive child, because I remember getting nightmares from reading Roald Dahl's Charlie and the Chocolate Factory. I was particularly disturbed by against-the-will transformations, and thus by Violet Beauregarde's metamorphosis into a blueberry. So when my dad took me to see a revival screening of Willy Wonka & the Chocolate Factory at the York Theatre (now the Brava) I went with some trepidation and had to wander into the lobby for a few minutes during that sequence. Upon revisiting the film as a college student I realized that this was actually a pretty tame scene compared to many in the film, which has a seriously sinister undercurrent running pretty much throughout. WHY: The Paramount is arguably the most luxurious cinemagoing experience (thanks to it's gorgeously restored interior) in the Bay Area for the lowest price (only $5!) I have a rule that if the theatre advertises a screening of something I've never seen before, I must attend if I possibly can. This rarely occurs, however, because such a large theatre to fill means the programming usually emphasizes well-worn classics I've seen many times. I find myself often prioritizing a rare 35mm print of something I've never seen at a place like the Stanford or the PFA or the Castro over a Paramount viewing of an old favorite. But tonight the PFA is closed, the Stanford is showing films I'll have a second shot at seeing tomorrow, and the Castro has a matinee showing of its evening programs. So I plan to visit the latter to catch Tony Scott's True Romance (and skip Pulp Fiction; nothing personal but I've seen that one before) in the afternoon and make a pilgrimage to the Paramount in the evening, with plenty of time to have a convivial dinner with some of my fellow Wonka-goers in the meantime. If the venue alone weren't enough, I'm glad I'll finally be revisiting Willy Wonka & the Chocolate Factory, for the first time since the death of Mel Stuart in August 2012. I did catch Stuart's documentary Wattstax earlier this year and notice that it is on the Castro's coming soon page as a budding Martin Luther King, Jr. Day tradition, this time on a double-bill with Richard Pryor: Live on the Sunset Strip. HOW: 35mm print of the feature, plus newsreel, animated short film, and trailer(s). WHO: Chuck Jones directed this. 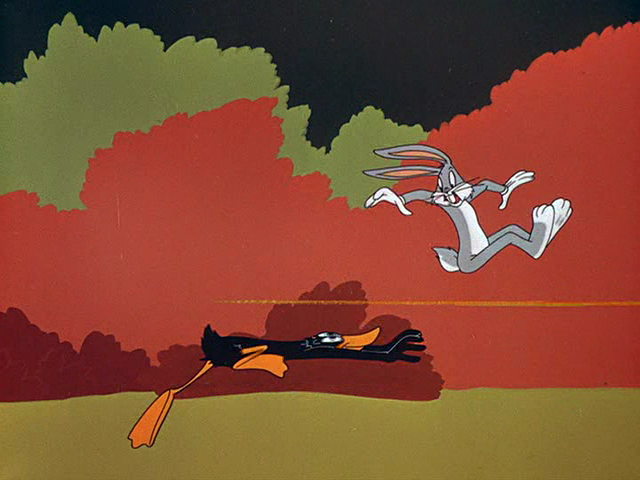 WHAT: Part two of the so-called "hunting trilogy" of films facing-off Bugs Bunny, Daffy Duck, and Elmer Fudd all in the same cartoon, but it's certainly unnecessary to see them in order (though for the record Rabbit Fire came first in 1951 and Duck, Rabbit, Duck completed the trio in 1953.) In my opinion this is the best one, with both the cleverest wordplay and the most hilariously contorting animation (just look at Daffy in the frame-grab above) of the group. I suspect I'm not alone, as it's the only one of the three films to have placed on Jerry Beck's list of The 50 Greatest Cartoons Ever: as selected by 1,000 Animation Professionals; it came in at #30, right above The Scarlet Pumpernickel. WHY: Tonight's "Classic Cartoon Cavalcade program shows off a part of the Oddball Films collection of animation, with an especially generous helping of shorts made at the Warner Brothers animation studio (a.k.a. "Termite Terrace") in the 1930s, 1940s, and 1950s. The thousand cartoons made at the small studio located on the Warner lot represent a pinnacle of American moving image art to many animation fans, and tonight's selections highlight a range of characters and directors synonymous with Warner cartoons, from a diverse historical range. The program includes 1931's Smile, Darn Ya, Smile, one of the first Merrie Melodies made by founding studio director Rudolf Ising after directorial duties began to be split between him and his co-founder Hugh Harman (who took on the character Bosko in the slightly-more-established Looney Tunes series while Ising developed characters like Foxy, Piggy and Goopy Geer.) By the time of the 1935 Gold Diggers of '49 those characters had been swept aside, and Harman and Ising had made way for directors like Friz Freleng and Tex Avery to take over their directing duties; this California Gold Rush-themed short starred Porky Pig and the now all-but-forgotten Beans the Cat and was Avery's debut. Avery's 1941 Bug Parade also screens tonight. Termite Terrace's longest-lasting director Freleng makes his mark on tonight's program by the 1937 He Was Her Man and the 1955 Goofy Gophers showcase Lumber Jerks, while the interim period is represented by a pair of Chuck Jones films: For Scent-imental Reasons starring Pepé Le Pew, and Rabbit Seasoning. Finally, the 1959 Unnatural History gives a moment in the sun to one of the lesser-known, late-period Warner directors, Abe Levitow, who had started as an apprentice to Jones and in fact had worked on For-Scentimental Reasons and Rabbit Seasoning as an animator. The rest of tonight's program is made up of cartoons from other studios. Disney is represented by its iconic Steamboat Willie, the third Mickey Mouse cartoon and the first in which we hear his squeaky voice (and which came in at #13 on Jerry Beck's list), and by the 1962 Symposium on Popular Songs featuring music by the Sherman Brothers of Mary Poppins fame. The Fleischer Brothers were at their pre-code peak when making films like 1932's Any Rags with their original star Betty Boop (they'd later be the first to adapt comic characters Popeye and Superman for motion pictures). These cartoons were distributed by Paramount in the 1930s, but by 1942 that studio had pushed the brothers out and hired much of their staff to create an in-house animation factory called Famous Studios. Popeye and Superman cartoons continued to be made there, along with other series with characters such as Little Lulu. Little Lulu in The Babysitter gives us a peek at a 1947 Famous cartoon tonight. Finally, Mr. Magoo appears in the 1951 cartoon Fuddy Duddy Buddy, produced at the groundbreaking UPA studio and distributed by Columbia Pictures. A night like tonight is a real rarity in the Frisco Bay cinematic landscape: full programs of classic-era animated shorts have grown scarce on local screens. The Paramount Theatre in Oakland screens a 35mm cartoon (as well as a newsreel and at least one trailer) before each of its monthly (or so) classic screenings (such as Willy Wonka and the Chocolate Factory tomorrow), but never announces the titles in advance. Even Oddball, one of the last venues to screen such films, on film, on a semi-regular basis, usually doesn't devote more than a few slots on a given program to this underestimated segment of Hollywood history. So take advantage of this rare treat! 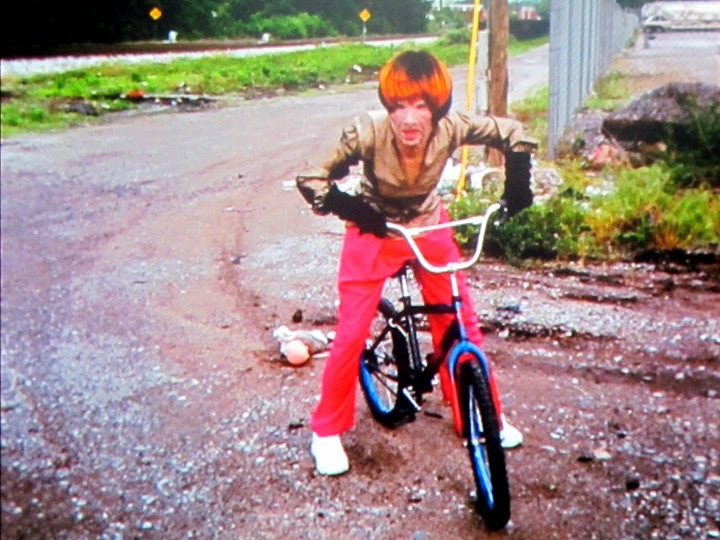 HOW: Tonight's Oddball program is all-16mm. WHO: Paolo Sorrentino directed and co-wrote this film. WHAT: I haven't yet seen this reportedly Fellini-esque film from the director of Il Divo and This Must be The Place. Here's a link to a review from a critic who loved it: Bilge Ebiri. WHERE/WHEN: Screens multiple times daily at least through the end of 2013 at the Rafael in San Rafael, the Shattuck in Berkeley, and the Opera Plaza in San Francisco, and through this Thursday at the Aquarius. WHY: With Hollywood flooding the market with supposed "Oscar contenders" and local film festivals on hiatus for the holidays, it's the time of year when characters speaking languages other than English tend to get squeezed off of Frisco Bay screens. Right now there are just a handful including the French-language Blue Is the Warmest Color, the Hindi, Tamil, Malayalam, and Telugu-language movies playing at the Towne 3 in San Jose and the Big Cinemas Fremont 7, and Dhoom 3, the Hindi car-racing picture which has crossed over out of those venues into multiplexes. And The Great Beauty, which was just announced as one of the nine finalists for the Foreign Film Academy Award along with Rithy Panh's The Missing Picture, Wong Kar-Wai's The Grandmaster, Felix van Groeningen's The Broken Circle Breakdown, Thomas Vinterberg's The Hunt and (I believe) four titles that have yet to screen in Frisco Bay cinemas. One of these, the German submission Two Lives will open the Berlin and Beyond festival on January 15th at the Castro, the night before the official announcement of this year's Oscar nominees is made. As fundamentally flawed as the Academy Awards are as a methodical process for the determination of quality films, the flaws in the system are hardly more evident than in the Foreign-Language Film category, as is always noted at this time of year. Still, its convoluted elimination procedure sheds attention on films that might otherwise be ignored, and nominated films generally are able to see distribution in this country that might elude a merely shortlisted or submitted title. But sometimes the submitted titles that fail to be nominated are just as interesting or more interesting than those that aren't. Yet for every example like The Past, the Iranian submission that has officially failed to make the cut for a Foreign-Language Film Oscar, but has secure distribution (it open at the Clay and the Aquarius, where it replaces The Great Beauty, this Friday, and will arrive at the Rafael January 10th) there are a handful or two of films that, because they failed to achieve a coveted nomination slot, will soon become difficult to see, especially in cinemas, in this country. This makes the Rafael Film Center's annual For Your Consideration series, which runs from January 10 through 17 at the restored Art Deco theatre in downtown San Rafael, a very welcome one for foreign film fans. Of the fourteen films screening in the series, only one has a shot at being Oscar-nominated: the aforementioned Two Lives, which screens at the Rafael the evening after its Berlin & Beyond premiere. Berlin & Beyond fans should note that German-language submissions The Wall from Austria and More Than Honey from Switzerland play at the Rafael, but not at the San Francisco festival. Other FYC films come from the Czech Republic (Jiri Menzel's The Don Juans), New Zealand (Dana Rotberg's Maori-focused White Lies), Australia (Kim Mordaunt's The Rocket, set in Laos), Argentina (Lucia Puenzo's The German Doctor), Georgia (Nana Ekvtimishvili's In Bloom), Japan, Poland, Romania, Afghanistan, Sweden and Canada. The Rafael is of course committed to showing foreign language films that don't make a big impact on the Academy Award nomination process as well, and sometimes these can be the most interesting films of them all. I don't know if that's an accurate description of the Brazilian film Reaching For the Moon, which opens there Friday (and at the Opera Plaza that day as well), but from my point of view it definitely does describe A Touch of Sin, the latest from Jia Jaing-Ke and one that was never eligible to even be considered in the Foreign Language Film Oscar nomination process because it has never been screened in its country of origin, China. It opens for a week at the Rafael January 3rd, the same week it screens at the Roxie. In fact, I feel as though I didn't really start seriously appreciating foreign films until I started paying more attention to films that had nothing to do with the Oscar nomination process. I don't think it's a coincidence that, when it comes to films screening at Berlin & Beyond, I'm far more intrigued by Thomas Arslan's Gold, Pola Beck's Breaking Horizons and Tizza Covi and Rainer Frimmel's The Shine of Day than the Oscar contender. We'll see what I'll be able to make it to in January. HOW: The Great Beauty screens on DCP at the Shattuck and Rafael, and on Blu-Ray at the Opera Plaza. It's a bit of a shame that these are the only options for local moviegoers as the film was shot on 35mm, and is being made available for screening on 35mm by its U.S. distributor at at least one venue. WHO: Frank Capra directed, produced, and co-wrote the screenplay for this film. WHAT: You'd have to be living under a lump of coal not to know about this film, by now probably the most widely-loved Hollywood movie made before 1950 with the possible exception of Casablanca. You may have heard that it was a flop on its initial release in 1946, which is not exactly true, as it was nominated for several Oscars including Best Picture, and sold enough tickets to place it in the top 30 box office draws of the year. Just not enough to turn a profit on its unusually high (for its time) production cost. You may also have heard that it was forgotten for decades until someone realized its copyright had not been renewed, thus making it a cheap buy for television stations which soon began broadcasting it frequently, turning it into a classic. I'm not sure how truly forgotten it was (as a former Best Picture nominee it must have been known to some people), but it apparently was unknown enough that a classroom of film students including my favorite classic film podcaster Frank Thompson had never heard of it when Capra himself came to screen it in Boston in the early 1970s. 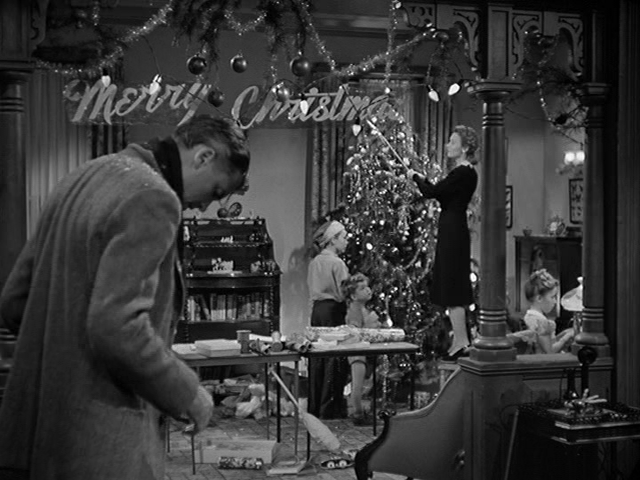 But It's A Wonderful Life has never really let up its grip on our collective cultural memory loosen since those days. Now annual screenings in cinemas and on television stations are joined by annual internet articles about the film's history as a target of anti-Communist investigation, about its surviving cast, and more. My favorite new-for-2013 piece of It's A Wonderful Life effluvia is a newly re-cut trailer put together by the Cinefamily (formerly Silent Movie Theatre) in Los Angeles for its current week-long 35mm run of the film. Enjoy! WHERE/WHEN: Screens at 2 & 7 today only at Century Theatres around Frisco Bay (and beyond). It also screens at 9PM at the Stanford Theatre in Palo Alto, but this annual showing is, as always, sold out. I warned you! HOW: 35mm at the Stanford and digitally elsewhere. WHO: Anthony Dod Mantle is the director of photography on this, and Ron Howard directed it. The canniest choice that Howard made in this film was bringing former Dogme 95 acolyte Anthony Dod Mantle on board as cinematographer. Shooting digitally, the Brit helps bring to life the desaturated colors of the era with real flair. It often feels like flipping through a box of Kodak prints from 1976. WHERE/WHEN: Today at 4:30, Wednesday at 6:20, and Thursday at 8:15 at the New Parkway in Oakland. Last month I finally made a second trip to the venue, after the one I reported on last January. This time, I watched a movie that had been shot on film but was being projected on video, and though it perhaps felt more like watching a giant-sized HD television than going to a movie, perhaps this wasn't such an inappropriate way to see a movie that's based on an instant-cult-classic television series. The movie was Serenity, (I'd never seen it or any of the Firefly series before) and though it was enjoyable enough, what I most liked was the convivial atmosphere amidst a devoted group of fans (though I did not notice anyone actually wearing brown coats from my vantage point in the Theatre 1 balcony.) I did feel the theatre set-up was better than in Theatre 2, which I'd sampled almost a year ago, simply because there wasn't a doorway leading to a bright hallway on the same wall as the screen (I forgot to check if they'd installed a curtain or something to prevent light from distracting viewers whenever a server or someone else entered Theatre 2 during a screening). Unfortunately, the slight keystone issue I'd noticed at Holy Motors was evident at this showing as well; at least this time I told the staff about it and they seemed interested in trying to fix it for future showings. Anyway, congratulations on your first year of operation, New Parkway, and I hope it doesn't take as long for me to make my third visit as it did for me to make my second. HOW: Rush was shot on an array of digital cameras, and screens digitally as well. WHO: Robert Dudley has a very memorable supporting role in this. Why does the Wienie King give Gerry the rent money? Partly to best his wife, to be sure, but partly because he simply has a mind to. He likes the look of Gerry in her pink wrap. He likes birds, and there just happens to be a bird embroidered on the wrap. He knows what it is like to be poor. He just does it. It's in his nature. WHERE/WHEN: 4:10 and 7:30 today at the Stanford Theatre, and 7:00 on January 29, 2014 at the Pacific Film Archive. WHY: I knew I had to post about Robert Dudley this weekend after seeing him for a split second on the Castro Theatre screen last Wednesday during the 4th annual Noir City Xmas screening that has become the traditional way to announce the next ten-day Noir City festival in January (2014's is taking a bold new approach, making it my most-anticipated program yet! But more on that in a future post.) He plays a small role in the 1947 film Christmas Eve a.k.a. Sinner's Holiday which gave a belly-of-Hollywood finish to a double-bill that began with the bleak, New York underground cinema standout Blast of Silence, which somehow feels like the midway point between an Anthony Mann and a John Cassavetes movie. Christmas Eve, a story of an eccentric spinster trying to reunite with her long-lost wards (George Brent, George Raft and Randolph Scott) is one of those Hollywood oddities that doesn't quite conform to any genre conventions, but rather combines and stirs together elements from several seemingly disparate genres: screball comedy, political thriller, Western. I can't help but think that Robert Altman's involvement, very early in his film career, is in part responsible for this stew. It's an unexpectedly effective mix, especially as the middle segment of the film involving Raft and a Nazi-in-hiding unfolds coldly and powerfully. This is perhaps the only truly noir-ish element of Christmas Eve, and justification enough for it to be programmed at Noir City Xmas, especially one that announces a Noir City line-up that will be kicked off January 25th with a double-bill of Journey Into Fear and the Third Man. The Stanford shows The Palm Beach Story as the penultimate of its selection of Preston Sturges-directed films to wind down its 2013 programming. Already the venue has begun announcing its 2014 line-up, starting with a quickly-organized four-film tribute to Joan Fontaine, the 96-year-old star who died a week ago. All three of Fontaine's Oscar-nominated performances will be highlighted: Rebecca and Suspicion (for which she won) on a Hitchcock/Fontaine double-bill January 2-5, and The Constant Nymph, paired with her turn for the great Max Ophüls Letter From An Unknown Woman January 9-12. Then, the PFA will show The Palm Beach Story as part of a series called Funny Ha-Ha: American Comedy, 1930–1959 that kicks off with My Man Godfrey the night that venue reopens after the Winter break, January 16th, and speeds through some of the humorous highlights of Hollywood from Frank Capra, Howard Hawks, Frank Tashlin, and more. It's called "part one of a three-part series" in the now-online program but it's a little unclear what parts two and three will be: more comedies from the same period? (Either more American ones, or else focuses on other countries' comedies?) More comedies from later periods? Perhaps a set apiece devoted to American Drama and American Romance? Or American Tragedy and American Histories? Stay tuned. Whatever this large-scale series precisely is, it's not alone. 2014 will evidently see at least two other retrospectives that last more than just a couple of months at the PFA. A Satyajit Ray series begins with the Bengali master's first film Pather Panchali January 17, and will continue through August, expecting to include nearly all of his films. From what we've seen of the PFA's schedule for its year-long Jean-Luc Godard retrospective, it appears that it may be even more complete. Every feature film the master made up through 1967's Weekend will screen in chronological order this Spring, starting with 35mm prints of Breathless and Le Petit Soldat January 31st (unfortunately in the midst of Noir City). Programs of early short films and anthology contributions threaten to make this a complete accounting of Godard's pre-1968 work. A Fall series is promised to cover his post-1968 career. These three big PFA presentations will still be accompanied by smaller series in 2014; the January-February calendar brings us Anthony Mann crime films, the annual African Film Festival, an in-person appearance by Pennsylvania documentarian Tony Buba, and more. HOW: The Palm Beach Story screens via a 35mm print at both venues; on a double-bill with A Night At the Opera only at the Stanford. WHO: Cecil B. DeMille directed and produced this. WHAT: Though DeMille's 1956 The Ten Commandments is frequently referred to as a "remake" of this film he made twenty-three years earlier, in fact the Technicolor epic starring Charlton Heston as Moses (and which I finally saw for myself earlier this year, on 35mm at the Stanford Theatre) revisits and expands upon the Old Testament story that makes up the first half of this 14-reel silent film. The second half of the film is a modern-day (for its day) parable intended to make the Bible relevant to a Jazz-age audience, and even includes a short setpiece recreating a moment from the New Testament (unused in the 1956 film) as part of its lesson. For Frisco Bay audiences, and many others, the most impressive and exciting scene in the 1923 Ten Commandments is probably not one of the Biblical sequences at all, but a sequence shot in San Francisco, atop the actual scaffolding being used to rebuild (after its 1906 destruction) the Saints Peter and Paul Church across from Washington Square Park in North Beach. It's a stunning, cinematic scene about hubris, corruption, and denial, made all the more effective by its use of an authentic location. Saints Peter and Paul Church would go on to be used in quite a few other films after its completion in 1924. Jim Van Buskirk and Will Shank identify it in What's Up Doc?, Fearless, Nine Months, and several other films, mostly romantic comedies. It's also visible in Dirty Harry, but is perhaps most famous as the site of Joe DiMaggio's wedding. He was married here, to his first wife Dorothy Arnold, but was denied the chance to marry his second, Marilyn Monroe, because his divorce was not recognized by the church. That didn't stop the couple from taking a photo in front of the church after their City Hall ceremony, however. WHERE/WHEN: Tonight only at 7:30 at the Niles Essanay Silent Film Museum. WHY: Few Frisco Bay theatres show Biblical epics these days, perhaps equally for their length as for their polarizing subject matter. But they are a significant piece of our cinematic heritage and there's nothing else quite like them. (I say this as someone who attends a Unitarian-Universalist church about once a year at Christmastime and is otherwise pretty much areligious, unless you count cinema as a spiritual practice). The Niles Essanay Silent Film Museum's Edison Theatre, which celebrated the 100th anniversary of its founding last month, and which will celebrate its tenth year of operation since re-opening after decades dormant next month, is one of the few venues that still includes Biblical epics in its programming rotation. Of course, when it plays a film like The Ten Commandments it dispenses with its usual tradition of screening one-reel and two-reel shorts before the feature. Fourteen will be plenty. But for those who prefer shorts to features, there will be many opportunities to see them at the Niles theatre in the coming year. Their December 28th show includes a pair of Christmas-themed shorts starring Charley Chase (There Ain't No Santa Claus) and Laurel & Hardy (Big Business), as well as a film apiece by Buster Keaton (The Scarecrow) and Charlie Chaplin (Easy Street). The last of these is a 1917 film, but prefigures an exciting project the Niles Edison Theatre will host all next year: a chronological presentation of all thirty-eight of the Keystone short films made by Chaplin in his first year of filmmaking, 1914. One of these will screen before every feature film shown on a Saturday night at the venue, giving loyal audiences a chance to celebrate an approximate centennial of every one of the films he released during the year that saw his rise from obscurity to superstardom. 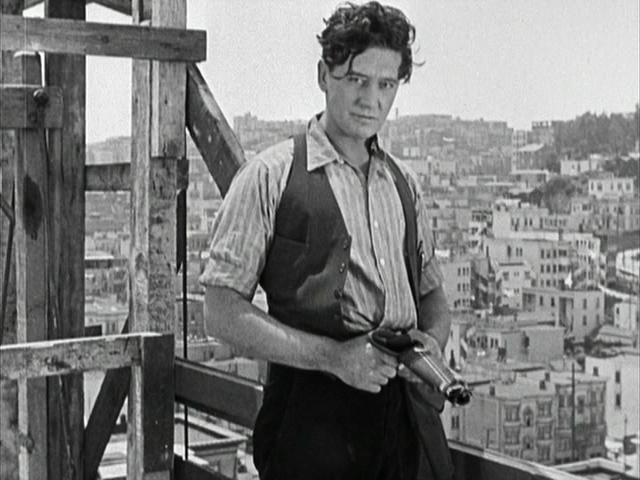 It will be like following along, one hundred years later, with the building career of one of the cinema's most important- and entertaining- figures. All the screenings will be sourced from film prints. I haven't seen a schedule yet, but by my calculations, this means that perhaps my favorite Chaplin film from this era, his second film Kid Auto Races at Venice, Cal. will screen on January 11, providing a cruel fork for a Chaplin fan who also might want to attend the San Francisco Silent Film Festival's (unfortunately all-digital) day of Chaplin screenings at the Castro. I have learned that the following week at Niles, January 18th, will have a 35mm print of Douglas Fairbanks in The Mark of Zorro as its feature attraction, and the Chaplin short (presumably Mabel's Strange Predicament) will be joined by a showing of a more-complete version of the Niles Essanay Silent Film Museum short production Broncho Billy and the Bandit's Secret, a neo-silent filmed last year using vintage cameras and equipment. This program marks 10 years of weekly silent film screenings with live musical accompaniment at the venue, and hopefully kicks off the countdown to another ten years! HOW: The Ten Commandments screens via a 16mm print with Jon Mirsalis accompanying on his Kurzweil synthesizer. WHO: Harmony Korine directed this. WHAT: I'm not exactly sure, I must say. I didn't go out of my way to see this film when it was in theatres a few years back, so I don't really know if it's an "empty provocation" or a "low-caste landscape study of the Deep South, a kind of response to William Eggleston's work refracted through notably different aesthetic and political lenses", as Mike D'Angelo and Michael Sicinski said in the same article in 2010. WHERE/WHEN: At the Roxie tonight only at 11:45. WHY: Though I skipped Trash Humpers at the Roxie and elsewhere the first time around, I can't deny that seeing John Waters's #1 movie of 2013 Spring Breakers earlier this year but has made me interested in filling in my Harmony Korine gaps. And though I never would have expected it, it's screening tonight as the official/unofficial capper to a pair of triple-bills made up entirely of 35mm prints of films I've never seen. Last month's edition of Jesse Hawthorne Ficks's MiDNiTES FOR MANiACS was the first time I partook in the new format for this long-standing movie marathon. After watching The Lone Ranger on glorious 35mm with a couple hundred fans and skeptics (many of whom I think were won over), the Castro began filling with more bodies, come for the 9:30 showing of another Johnny Depp Western, Dead Man, which was a truly awesome experience on that big screen. When that was over, a few dozen of us made the the 15-minute walk from Castro Street to 16th and Valencia, where the Roxie ticket-taker gave any of us presenting our ticket from that night's Castro show a discount on the midnight screening of Alex Cox's Walker. I didn't do a survey, but I suspect there may have been more people there who hadn't taken in the Depp films that evening than those who had. Tonight's is a kind of replay of that, except with a different set of films of course. In this case Jodie Foster's 1995 Home For the Holidays and the most surprisingly controversial Christmas movie of the season, the 2003 Love Actually screen at 7:15 and 9:15 respectively at the Castro, giving enough time for audiences to make their way (the 33-Stanyan bus line is another option for those who only like walking a few blocks) to the Roxie in time for Trash Humpers. I haven't seen any of the three films but Korine seems like the most extreme "odd one out" I've ever been aware of Ficks programming in one of his triple-bills. Though it sound like an "odd one out" on just about any triple-bill imaginable. Here's another you don't have to imagine: the Roxie is showing a completely different pairing at 7:30 and 9:30: Grindhouse Releasing 35mm prints of Gone With the Pope and An American Hippie in Israel. 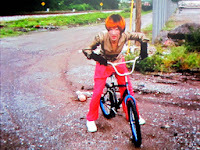 Though Trash Humpers is not actually connected to that double-bill and requires a separate admission ticket, you can look at it as three movies for the price of two. HOW: All five movies screening at the Castro and the "Big" Roxie tonight will show on 35mm prints. WHO: This film was based on a memoir by Anaïs Nin; she is portrayed in the film by Maria de Medeiros (at left in above image). WHAT: I have not seen this film; Here is a blog by someone who found it quite profound upon release, and revisited it twenty years later. It's best-known as the first, and behind Showgirls, still the highest-grossing, of all films ever rated NC-17 by the MPAA. In fact it was first rated X, but a legal action in the wake of that decision helped spark the creation of the 23-year-old "adults only" movie rating. WHERE/WHEN: 7:30 tonight only at the Yerba Buena Center for the Arts. WHY: This is the second-to-last YBCA screening of 2013, with In A Year of 13 Moons this Saturday providing the climax to an excellent year of screenings and a 35mm-heavy autumn dominated by Fassbinder, Tarkovsky, and a spotlight on the X-Rating. 2014 will also kick off with films dialoguing with the history of censorship in American film: the complete works of Jack Smith, whose Flaming Creatures was deemed "obscene" and banned in New York after its 1963 cinema debut there. This January series, which also includes two documentaries on Smith (who may have known Anaïs Nin in fact; he certainly was connected to her through mutual associates like Jonas Mekas and Kenneth Anger), is a co-presentation of SF Cinematheque, which will also be presenting films by Janis Crystal Lipzin, Luther Price and others at YBCA February 1st, 2014 as part of a tribute to the stalwart Millennium Film Journal. Further SF Cinematheque/YBCA events have yet to be announced, but the venue has revealed more of its February slate, including the ASKEW Film and Performance Festival, the annual Arrow Awards, and the documentary Design is One: Lella & Massimo Vignelli, which will on February 27th will launch a month of twelve design & architecture films; the other eleven titles yet to be revealed. HOW: Henry And June screens in 35mm. WHO: Chick Strand made this. A film poem using found film and stock footage altered by printing, home development and solarization. 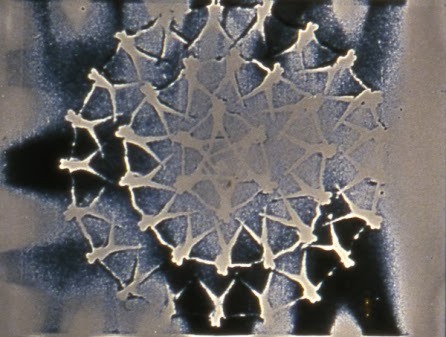 It is a film using visual relationships to invoke a feeling of flow and movement. WHERE/WHEN: On a program screening tonight only at 7PM at the Kadist Art Foundation storefront on the corner of Folsom and 20th Street. WHY: Tonight's a tough call. The Castro Theatre is screening a pair of rare 35mm prints, of Allen Baron's 1961 independent X-mas -set crime picture Blast of Silence, and of George Raft, Joan Blondell, and Randolph Scott in Christmas Eve a.k.a. Sinner's Holiday tonight to launch the announcement of what might be the best-yet line-up of films for next month's Noir City festival at the venue. And Baron will be in attendance! But, that double-bill conflicts with a screening of just-about equally-rare films from the Canyon Cinema collection, selected and presented by Janis Crystal Lipzin and Denah Johnston. It's an all-female line-up (perhaps a balance to the all-male screenings at the Kadist Canyon Pop-Up last Saturday and two weeks ago) including films by Storm de Hirsch, Marie Menken, Anna Geyer, and many others. I believe I've only seen two of the films showing before, Waterfalls and Dorothy Wiley's Miss Jesus Fries On Grill, and if they are a reflection of the quality of the rest of the program this should be a stunning show tonight. We're in the middle of the final week of the Canyon Pop-up and its remarkable opportunity to for locals to borrow DVD transfers of works from the Canyon Cinema collection- for free! I've enjoyed seeing films like Anthony McCall's Line Describing a Cone (a uniquely interactive sculptural film experience) and Luther Price's Clown (the most horrifying Super-8 film I've ever witnessed) in the Kadist space over the past weeks, but I've almost equally enjoyed being able to watch and rewatch works by Craig Baldwin, Paul Clipson, Claire Bain, Saul Levine, Canyon co-founder Bruce Baillie, etc. in reference copies that would be (in most cases) otherwise completely unavailable to me. I'm definitely going back tonight to return my latest batch and borrow a new set in time to be returned before the Pop-up closes this Saturday. Whether I stick around to watch the free screening, or head over to the Castro, I have not yet decided. HOW: Tonight's program is all-16mm projection. WHO: Jennifer Lawrence stars in this. WHAT: I pretty intensely disliked the first Hunger Games movie, feeling that it was the very model of a popular literature adaptation that was made to compliment a reading of the book, and not to stand on its own as an interesting-in-its-own-right cinematic work. But somehow I got the urge to see this sequel nonetheless, and found it far superior in just about every way. I haven't read more than a few snippets of the original novels (just enough to discern that Suzanne Collins is a better world-builder than prose-spinner), but I imagine that if I had, I'd agree pretty much wholeheartedly with Matt Prigge's review. WHERE/WHEN: Screens multiple times daily (except for Christmas Day) through January 5th on the Tech Museum of San Jose IMAX screen, and on many other "normal" cinema screens around Frisco Bay. WHY: With 35mm distribution of major studio films down to its last days (there were rumors prints would be completely phased out by the end of 2013 but it hasn't quite happened yet, and I'll believe it when I see it), it seems worth also turning to the state of the 70mm IMAX presentation world. 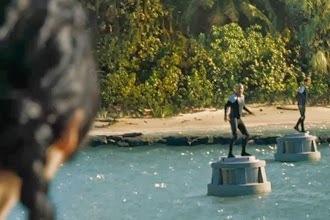 The Hunger Games: Catching Fire is a good excuse to talk about the local IMAX scene, as a good portion of it was filmed using IMAX film cameras and is intended, where possible, to be screened in that immersive way. This article explains more. It's rumored that next year's Christopher Nolan film Interstellar may be the final major Hollywood release to be filmed and available for projection on 15-perforation, 70mm film on IMAX screens. There are currently three Frisco Bay IMAX screens with the capability to show 15/70 film reels, as opposed to the (in my opinion) falsehood that is called "digital IMAX", and two of those screens have recently made the conversion so that they can screen both forms: the Metreon in San Francisco (where I saw Gravity digitally on its IMAX screen) and the Regal Hacienda in Dublin. I believe both of these venues screened The Hunger Games: Catching Fire in 15/70, at least for a few days. I was told by Metreon employees that either their 70mm print or their projection system itself caused a technical problem that forced them to switch over to the digital IMAX for Catching Fire screenings in the middle of Thanksgiving weekend. Nonetheless, the Metreon is currently showing The Hobbit: the Desolation of Smaug in 15/70, although it was not filmed using 70mm cameras but digitally, so I'm not sure how important it is for purists to see it that way. The Regal Hacienda is currently showing The Hobbit digitally only. But the third local IMAX (not just "LieMAX") screen in the area is the Tech Museum of San Jose, which has not yet made the digital conversion to my knowledge, and has been confirmed by Carl Martin, keeper of the Bay Area Film Calendar, to be showing the 15/70 version of The Hunger Games: Catching Fire as well as its usual selection of nature documentaries through the end of the year. On January 6th the venue expects to close its run and resume to showing documentaries only for a while. Perhaps until Interstellar? If you're not just an IMAX fan but a Star Wars fan there's a double reason to visit the Tech Museum soon, as there's an exhibit devoted to the 1977 film and its offspring up through late February. HOW: 15/70 IMAX at the Tech Museum, and digitally elsewhere. WHO: Steve McQueen directed it, Chiwetel Ejiofor (above) starred in it, John Ridley adapted it from the original memoir, and Sean Bobbitt was cinematographer. WHAT: I finally saw the film that most people who care to hazard guesses about future Academy Awards results think is likely to win to prizes such as Best Picture. I'm still sorting out my thoughts, but for the most part I was extremely impressed with the film. It's not the simplistic, pandering sainting of a historical figure that we often expect in films released at this time of year. It shows a segment of the kinds of horrors that my ancestors were in some way complicit in perpetrating upon people of African descent until less than a century and a half ago. But I found its greatest strength to be the set of questions it raises about the way different people (both blacks and whites) developed social strategies to survive the slavery system, and the moral, psychological and (for blacks) physical toll these different strategies might take on them. Some interesting articles on the film that have been informing my post-screening thoughts on the film include Glenn Kenny's spotlight on dialogue present in Ridley's screenplay, Peter Malmud Smith's comparison of the film to Schindler's List that raises interesting points that I don't have the time presently to work on refuting, and Ann Hornaday's controversial article about modern cinematography- and videography- as relates to filming skin tones darker than Max Factor Pancake 101. Among its other problems, the latter article fails to note that 12 Years A Slave was in fact filmed on 35mm stock and not digitally. WHERE/WHEN: Screens multiple times daily at least through Thursday at the 4-Star, Embarcadero, Sundance Kabuki, AMC 1000 and many other theatres throughout Frisco Bay. WHY: Yesterday the San Francisco Film Critics Circle announced their awards, and the big winners were 12 Years A Slave and Gravity, which received three and four total awards, respectively. As usual, the most interesting selections were their "special citation", for the UFO-of-a-movie Computer Chess and, their (slightly diluted in impact due to a first-ever split decision) Marlon Riggs Award to Fruitvale Station writer-director Ryan Coogler and to Roxie Theatre E.D. Christopher Statton. This was also the first year the SFFCC decided to announce publicly their "nominees", a decision that for me also diminished ever-so-slightly the group's credibility as a collectively confident film-evaluation unit. Perhaps a contradiction in terms, but you'll never catch the New York or Los Angeles critics groups releasing a memo-to-the-Academy-style listing of five finalists for each of their awards, I'd wager. But since the SFFCC has given us the data to play with, I'll do a little. It is sometimes somewhat interesting to notice what was strongly considered, and what wasn't, by a critical consensus. I'm not going to do much second-guessing, because although I've seen all but one of the award-winning films (American Hustle) I haven't seen many of the "nominees" that ended up going home empty-handed, such as yet-to-screen-publicly-in-Frisco-Bay titles like Inside Llewyn Davis and The Wolf of Wall Street. That said, there are only a few categories in which a "nominated" title that I've seen seems to me measurably superior than a winning title that I've also seen. Splitting the Best Picture/Best Director category seems odd to me when coming from a critics' group (I guess they're not all auteurist critics, I might jokingly aside) and maybe odder when the Director winner (Alfonso Cuarón for Gravity) has more mainstream appeal than the Picture winner (12 Years a Slave). And I'd probably go along with Mick LaSalle's public disappointment that Adèle Exarchopoulos in Blue is the Warmest Color failed to beat Cate Blanchett in Blue Jasmine in the Best Actress category, even though I was not that excited by either movie as a whole. The most passionate armchair critiquing of the SFFCC picks this year I'm going to engage in, which I'd probably bring up even if their nominees had not been made public, is in the cinematography category. I've mentioned before that I think the visual achievement of Gravity is better termed as "visual effects" or perhaps even "animation" than as "cinematography", and having seen Sean Bobbitt's work on 12 Years A Slave makes me feel strongly that there's an award-season "victim" of this miscategorization. Bobbitt's images, captured (like Bruno Delbonnel's for Inside Llewyn Davis) on 35mm film, are stunning. It makes me wonder how many of the critics who helped pick Gravity in this category had seen 12 Years A Slave projected on film rather than digitally. HOW: 12 Years a Slave screens digitally everywhere except for at the 4-Star, which shows it on 35mm until Thursday, after which it will be replaced by American Hustle. WHAT: According to Wallace Steadman Watson this was one of the three films that Fassbinder, when asked about his favorites of his own films shortly before his death in 1982, cited as "important" along with Beware of a Holy Whore and The Third Generation. 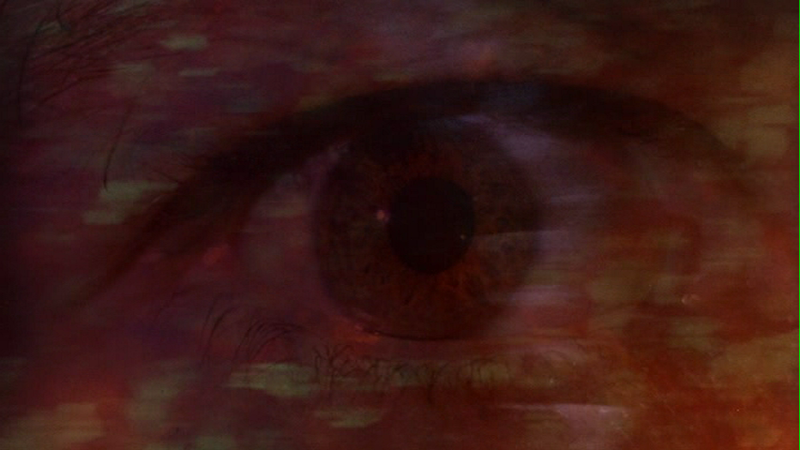 Ed Gonzalez has insightfully drawn a link between Beware of a Holy Whore and In A Year of Thirteen Moons as films marked by devastating events in Fassbinder's personal and professional life just prior to their production; In A Year of Thirteen Moons was made just after the suicide of Fassbinder's ex-lover Armin Meier following their breakup. Meier had appeared in several of Fassbinder's films, at least twice (in Fear of Fear and Mother Küsters Goes to Heaven playing the husband to a shrewish Irm Herrman housewife. I have not seen In A Year of Thirteen Moons yet myself, however. WHERE/WHEN: Screens today at 5:15 at the Pacific Film Archive and 7:30 next Saturday, December 21st at Yerba Buena Center For the Arts. WHY: I've long been warned that although In A Year of Thirteen Moons is one of Fassbinder's most rewarding films, it's also one whose rewards may not be apparent to a viewer who has little experience with and understanding of the writer-director through his other films, so I've held off on seeing it. With a good portion of the multi-venue retrospective held over the past months under my belt, I think it may be time for me to finally seek out this reputed masterpiece (ranked 3rd of Fassbinder's films by the contributors to the 2012 Sight & Sound critics poll behind Ali: Fear Eats the Soul and Berlin Alexanderplatz, and tied with the latter for 3rd by the directors polled that year, who put Veronika Voss in the #2 slot). It seems fitting, then, that both the PFA and YBCA series, and in fact their entire slate of 2013 film programming, ends with this film. WHO: This is the last film starring the "Four Marx Brothers": Groucho, Chico, Harpo and Zeppo; it's also the only Marx Bros. film directed by a truly world-class auteur, in this case Leo McCarey. WHAT: This film contains what must be the Marx's most brilliant single-scene contribution to the history of screen comedy: the "mirror" scene in which Groucho and Harpo (dressed as a doppelganger of his brother) encounter each other on opposite sides of a frame. 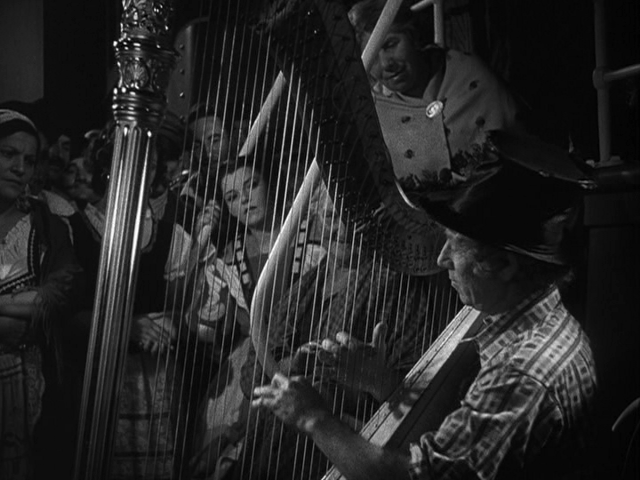 So much has been said about this scene, and so much more can be, but there's nothing like watching it in the midst of fellow appreciators of Marxian comedy. Here's one article on the scene. Here's another. WHERE/WHEN: Screens today & tomorrow at the Stanford Theatre at 6:10 & 9:20, at the Castro Theatre December 30th (at 2:20, 5:30 & 8:45), and at 3:00 on January 18th, 2014 at the Pacific Film Archive. WHY: Whether you've been attending the weekly Marx Brothers/Preston Sturges double-bills at the Stanford this season, or just following along at home, I highly recommend you read an article published on the theatre website by local critic Richard von Busack on both. 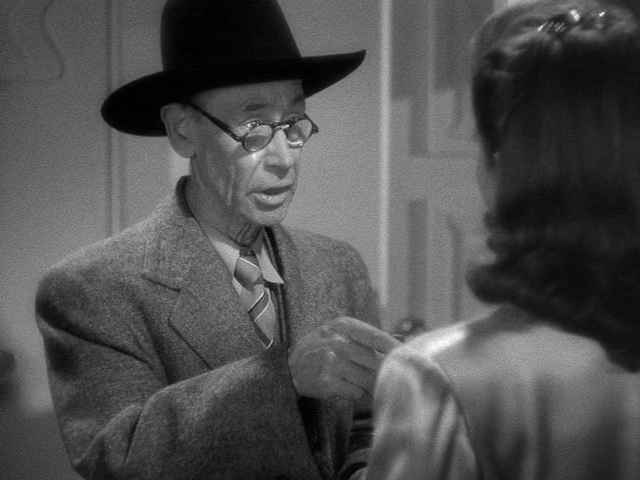 He focuses a bit more attention on Sturges, who left a signature on the Paramount Studio of the early 1940s as deep as that the Marx team did on that studio in the early 1930s, but has not stayed quite as present in popular culture for various reasons. But the article has some excellent insight into Groucho and his kin as well. HOW: All of these screenings are on 35mm. The Stanford shows are double-bills with The Miracle of Morgan's Creek, and the Castro shows are double-bills with A Night At The Opera.